Roger A. Leys, Chief Executive Officer of Pine Haven Christian Communities recently announced promotions of two staff members as the first step in a multi-year succession plan approved by its Board of Directors in November. The succession plan will support Pine Haven through the organization’s building project which was announced in fall 2013 with plans to break ground in spring 2014. The new facility will continue to provide Pine Haven’s unique continuum of care on one campus with enhanced services provided in a dedicated rehabilitation/therapy facility. 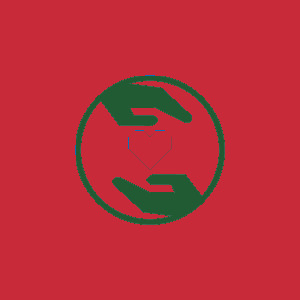 The succession plan will establish the framework for Pine Haven’s leadership structure which will lead the organization into the future while fulfilling its mission and vision. Ron Walvoort has been promoted to the position of chief financial and operating officer. In this new role, Walvoort continues to have responsibilities for Pine Haven’s budget and financial planning. He also continues to oversee the Business Services, Dietary, Housekeeping/Laundry, Information Technology and Maintenance departments. This change will allow time for Ron to be a member of the project team responsible for design and construction of our new facility and renovations at the Giddings Avenue campus. Prior to joining Pine Haven, Walvoort earned his Bachelor of Arts degree in accounting from Dordt College in Iowa and worked as an accountant with local companies. Walvoort became director of finance at Pine Haven in 1999 and was promoted to chief financial officer in 2010. He earned his Nursing Home Administrator License in November 2011 and served as administrator at Pine Haven since December 2011. He will maintain his administrator license and serve as assistant administrator. Michele Oostdyk has been promoted to the position of director of clinical services and administrator. Oostdyk joined Pine Haven as director of clinical services in January 2012. She continues to have responsibility for leading and managing all clinical services provided throughout Pine Haven facilities. Oostdyk has a key role in developing the clinical programs being planned for the new rehabilitation and therapy program. As administrator, Oostdyk will have responsibility for regulatory compliance of all departments in each Pine Haven facility. She earned her Associate Degree in nursing from LTC, her Bachelor’s Degree in nursing from Mt. Senario College, and her Master of Science in Management from Cardinal Stritch University. Oostdyk served in nursing leadership roles with Extendicare, St. Nicholas Hospital and Aurora Health Care prior to joining Pine Haven. She earned her Nursing Home Administrator License in October 2013. Joan Spindler and Mary Aderman recently received Longest Tenure awards from LeadingAge for their service and dedication to the residents of Pine Haven Christian Communities. LeadingAge is an association of 6,000 not-for-profit organizations dedicated to making America a better place to grow old. The association advances policies, promotes practices and conducts research that supports, enables, and empowers people to live fully as they age. Pine Haven Christian Communities nominated Spindler and Aderman for the Longest Tenure award which recognizes those with 30 years or more service to a member organization. Joan Spindler is a licensed practical nurse and Pine Haven’s medical records clerk. She has 38 dedicated years of service to Pine Haven. Mary Aderman is the manager of dietary services and has served Pine Haven for 37 years. Pine Haven Christian Communities recently held a celebration to recognize staff who reached milestones in their service to the organization in 2012. Twenty individuals were recognized for a total of 175 years of service to Pine Haven’s residents. Individuals recognized for five years of service include: Jean Loepfe, Orson Najacht, Paulette Mullen, Jennifer Maitland, Courtney Kohlhagen, Brittany Schwinn, ReBecca Frank, Lisa Pahl, Liza Thelen, Charlene Pratt, Linda Ongna and Linda Miner. Donna Bifano, Dawn Hutchins and Joslyn Lau celebrated ten years of service. Staff recognized for fifteen years of service include: Christa Gollnick, Pamela Simmelink, Andy Sterzen and Robin Lappegard. Peggy Eder was honored for twenty-five years of service to Pine Haven. Pine Haven Christian Communities paid tribute to 26 staff members on April 3, 2012 with the annual service awards recognition. We thank and honor each of these employees for their commitment to Pine Haven’s mission of quality, Christ-centered care. Together they account for 295 years of service to Pine Haven and our residents! 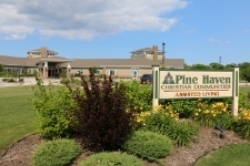 Pine Haven Christian Communities began in 1950, with the opening of Pine Haven Christian Home in Sheboygan Falls. With multiple expansions, today offers 50 beds in skilled nursing, 136 licensed rooms in the residential center wing and 40 apartments at Prairie Crossing their assisted active living facility and 24 apartments at the Oostburg assisted living facility.